Social Media: Blessing or Addiction? How many times a class do you check your instagram/twitter/facebook? Five or ten times? Once every five minutes? Why do you think that is? Recently I have found myself in class (not SC 200 of course) going to check my phone when I really did not need to, considering I had just checked it five minutes prior. Its not that I was bored or disinterested, it just felt like something I needed to do. This peaked my interest after awhile. Can social media be addicting? Now I would like to not consider myself genuinely addicted to Instagram or Facebook but it seemed like a interesting idea when you take a second to look around the Hub and the majority of people are obviously posting Snapchats or showing their friends and Instagram post. Internet Addiction Disorder (IAD) is real and, according to the National Institute of health, can actually cause deep psychological issues. Although not officially recognized as a psychiatric disorder, IAD is being researched and a sub-category under it is social-media addiction specifically. Columbian University psychiatric and neuroscience researcher Sean Luo, reported that around 3.7-13% of U.S. Internet users are way to involved in Internet usage. Further studies have even show brain abnormalities that mimic those found in substance abusers. Another aspect of social media addiction is the idea that “getting likes” on a post can stimulate the reward segments of the brain. However, there has yet to be a proven correlation between narcissism and social media. As students we know that checking our phone in class leads to distraction and the high risk for you to miss something important in class. However, when we step back and compare your phone to a cigarette, we face a new perspective. As we learned in class. Smoking spiked in 1900 and lung cancer spiked twenty years later. Because the affect of smoking on the lungs was so delayed, it took scientists a long time to determine how dangerous cigarettes are. Constant phone attention has spiked in the early 2000’s, so what could spike twenty years from now? What could be detrimental long-term affects that we will experience in twenty years, but won’t be able to solve for forty years? This entry was posted in Uncategorized on September 15, 2016 by Shannon Hughes. Just like the majority of college students I do check my phone a few times during class. However, at least for me, I do not think it is a matter of addiction. I will admit in some classes I lose focus or interest and peek at my texts or social media. Social media might be satisfying for me and many others, but not to the point of addiction except in rare cases. I loved this post because I relate to it (I think we all do). My phone has become apart of me, I feel lost when I am not with it. We are almost forced to be on our phones during the day to check emails, class assignments, and social media. I constantly find myself pressing the lock and unlock button on my phone to see if I have any new snapchats, texts, or other notifications. Sometimes I even psych myself out and imagine that my phone rang or lit up with a notification, it is strange how my brain does this. The point of the unknown risks of cellphones that you bought up truly evoked a great fear in me. 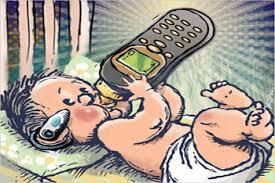 Our phones could be killing us slowly and we would have no idea until it is too late! That is something crazy to imagine, so I want to look up a little on the issue myself. I found an article by ABC New ( shttp://abcnews.go.com/Health/WellnessNews/story?id=7017768&page=1 ) called “7 Surprising Ways Cell Phones Affect Your Health”. I was surprised to learn that texting can cause blisters or strains in your thumbs and if the injury is serious enough you might need medicine. If only we had a time machine to go 20 years into the future to see what might happen to humans and their cell phones. To answer your question Shannon, I think I check my social media about 150 times per day! When reading this blog I totally felt like it related to me. Don’t you wish it was never made? It distracts me while I study and I believe if we didn’t have it, many people would be more focused on the actual world. Also, I have witnesses people get so frustrated over their Instagram picture likes. It’s a world that I personally believe is not right for society. Great post!